Highly Recommend easy to write and clean off. Fits my wall perfectly. 3m products can be trusted. Fast delivery and item is well wrapped. 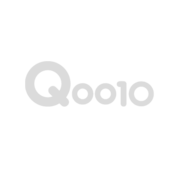 Fantastic delivery service by Qoo10. Love this product as it doesn’t take up space and it can be cut to the preferred size and can be use almost everywhere in the house or office. Brilliant product. Highly Recommend written by mobile Self collected the items. No fuss. Have kids? This is a must have. Good for the office too if you don't want a bulky white board. Or your white board has seen better days. very slow shipping even domestic, their warehouse is in the west area too, and took so slow to ship out via qexpress , get it from self fix its only $47. Any 8ft x 4 ft product available? Can this product be removed and resticked? My first order on 24 Jan was delivered on 25 Jan. However, I have yet to receive my 2nd order placed on 25 Jan, order no. 245202248. Can you advise the delivery date? Apologies for the delay in getting back to you. Due to the high volume of orders received last week, some orders have gotten delayed. We apologise for the inconvenience caused. Your order is in process and should be delivered to you in 1-2 working days. Hi, I still haven't received my item. Please advise, has been quite some time already. Otherwise, can I self collect? Thanks for informing us. Please allow us sometime to check with the warehouse team and get back to you. We are sorry for the late reponse. Please note your order will dispatch today. Hi ! Do u have the size 8ft x 4ft available? When will the item rstocks for sale? Please note it is in stock and can be purchased using the folloiwng link. Hi. 1) May I ask if this is suitable to be stuck onto painted wall surfaces like false wall type? 2) How many times can it be reused (i.e. write and wipe off)? 3) how long will it last and does it require to be replaced frequently? Thank you.